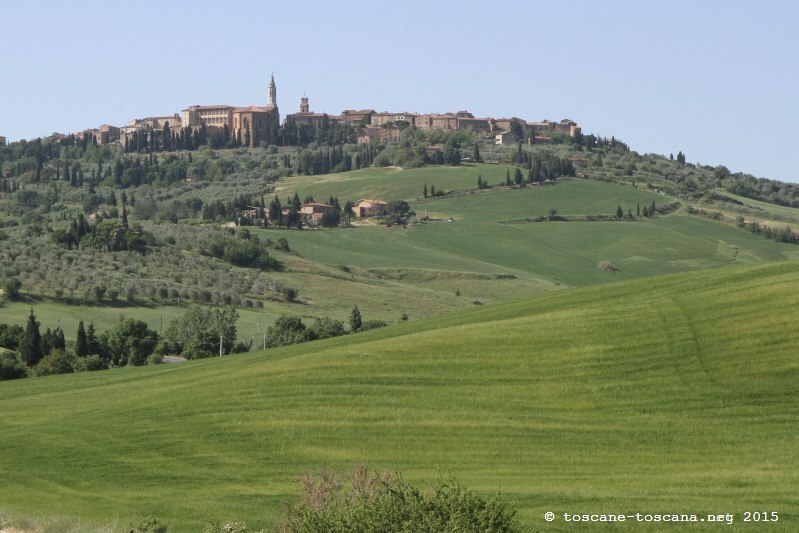 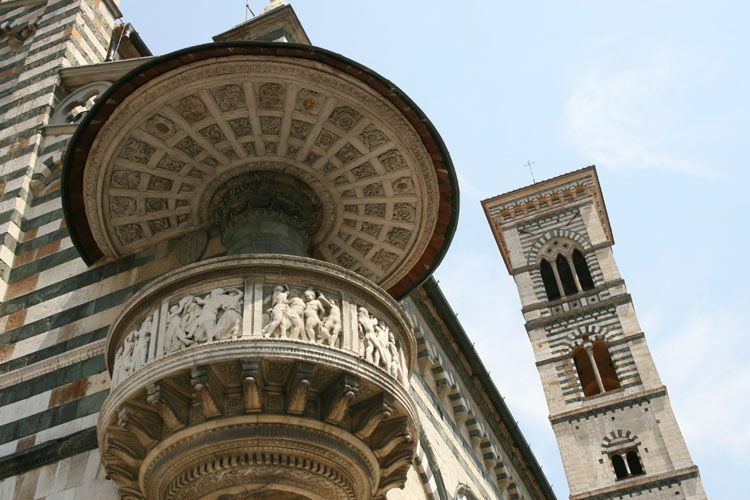 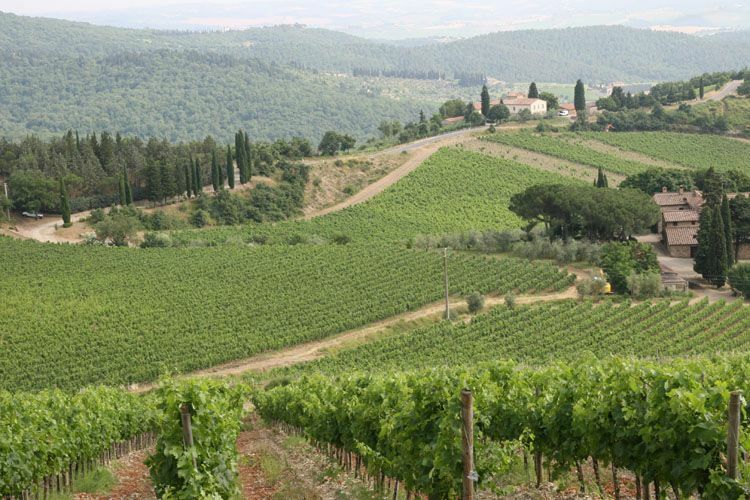 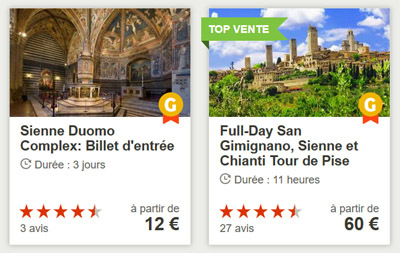 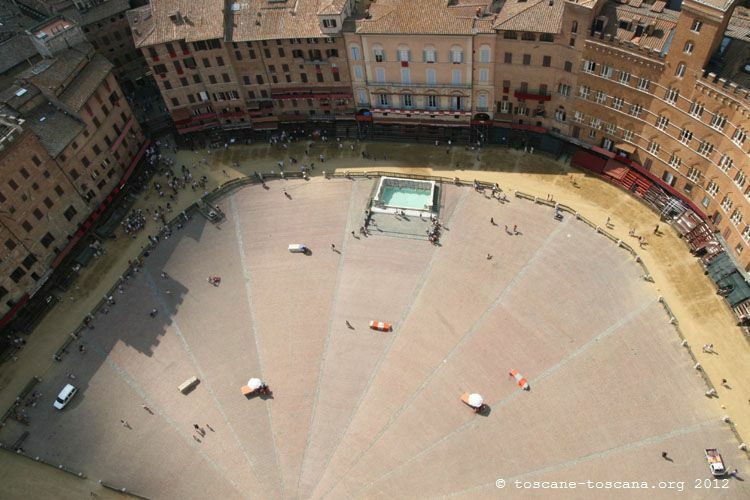 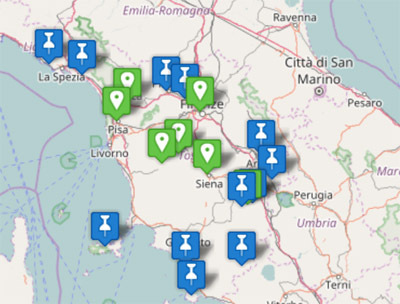 Lets have a tour of Tuscany on La Toscane.net, with pictures, sightseeing, ideas, maps, informations and history. 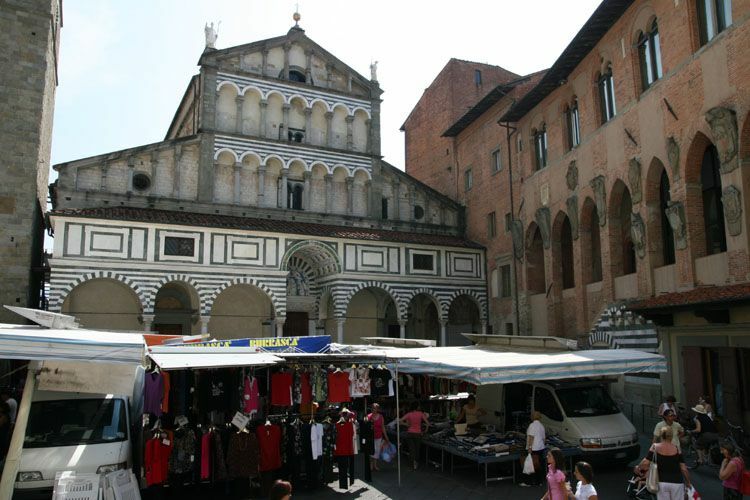 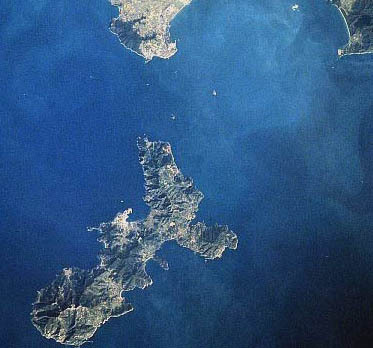 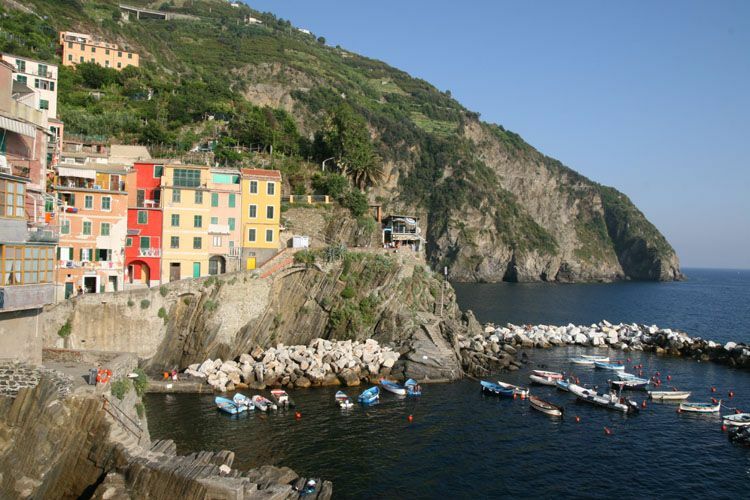 This region is emblematic of Italy, it is the historical center of the Renaissance. 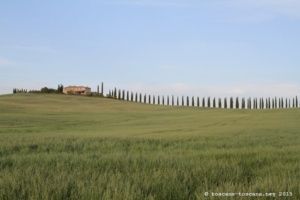 Its countryside is a giant garden, between its fields with undulating hills, its hedges of olive trees and cypresses. 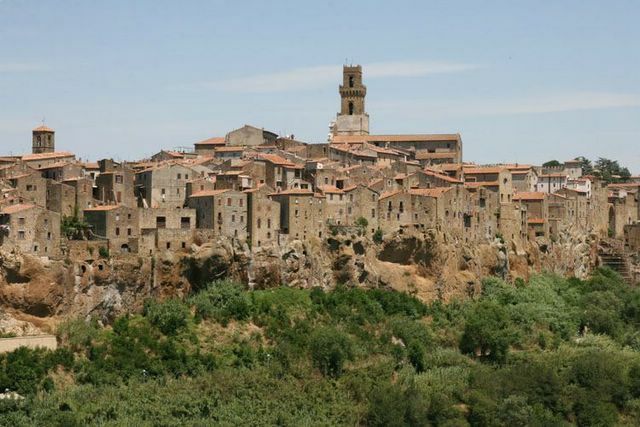 Its towns and villages offer scenery and a renowned gastronomy. 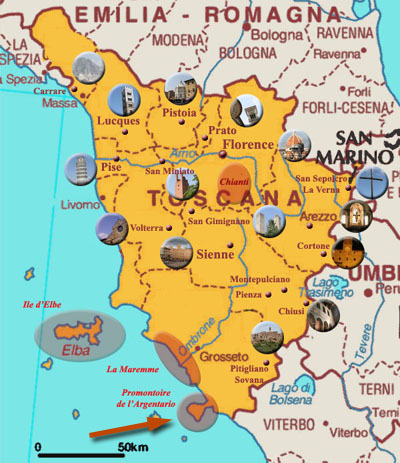 The region corresponds to Etruria, the former territory of the Etruscans, an admirable civilization which dominated this part of Italy before the Romans. 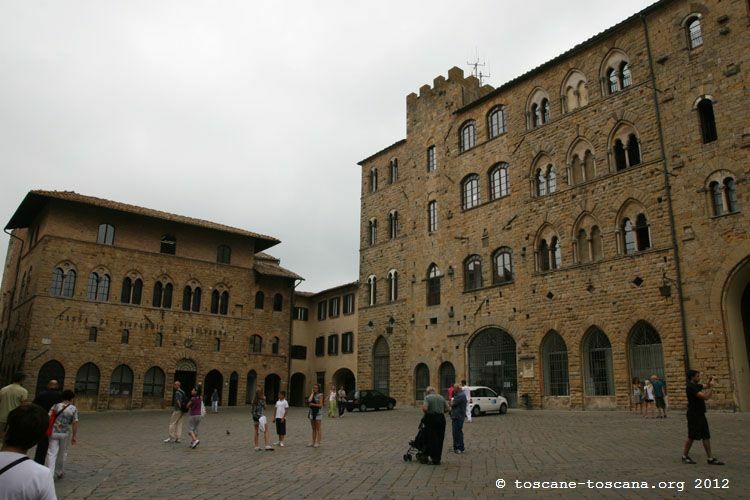 But it is the period of the Renaissance which left the most traces in the actual Tuscany. 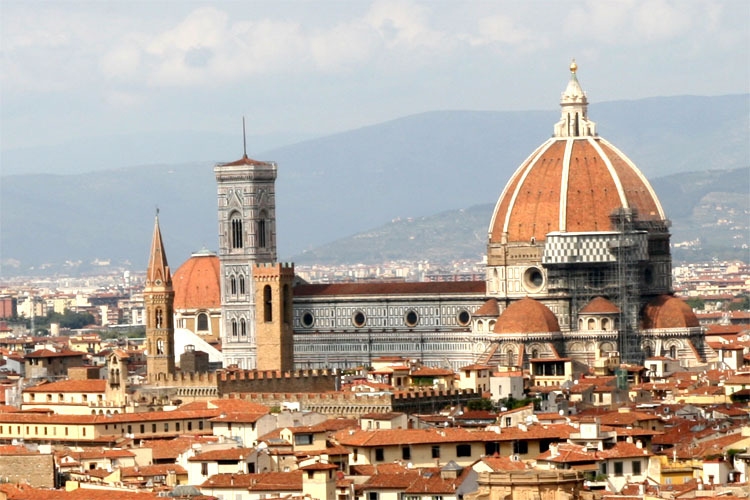 It began in the fourteenth century in Florence, as an artistic-cultural movement which spread over Europe. 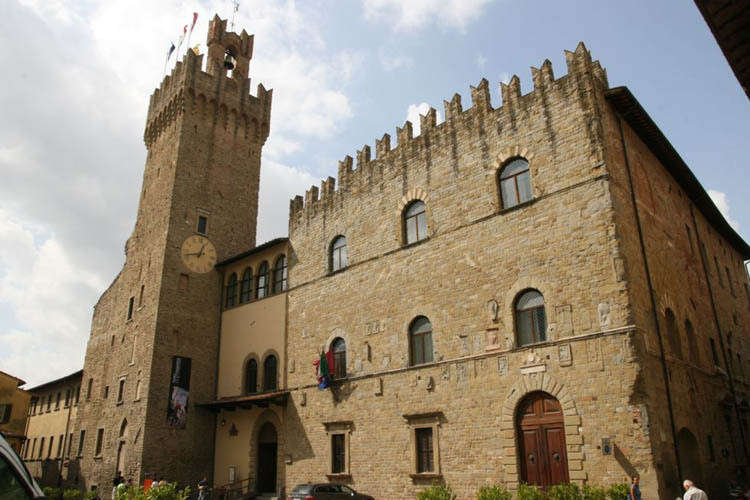 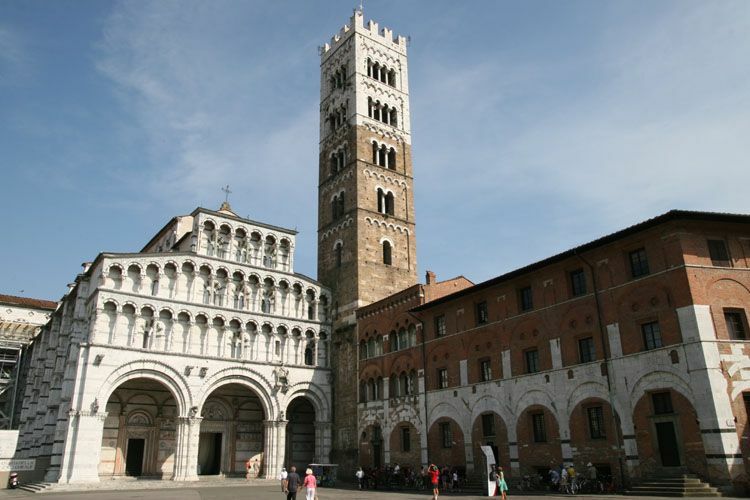 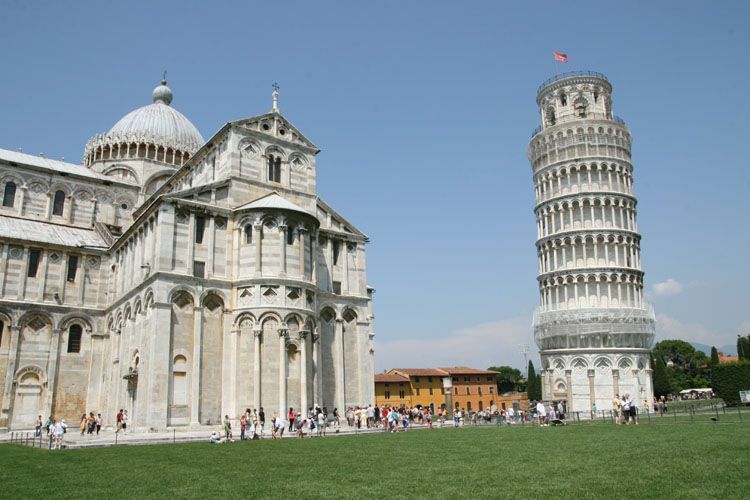 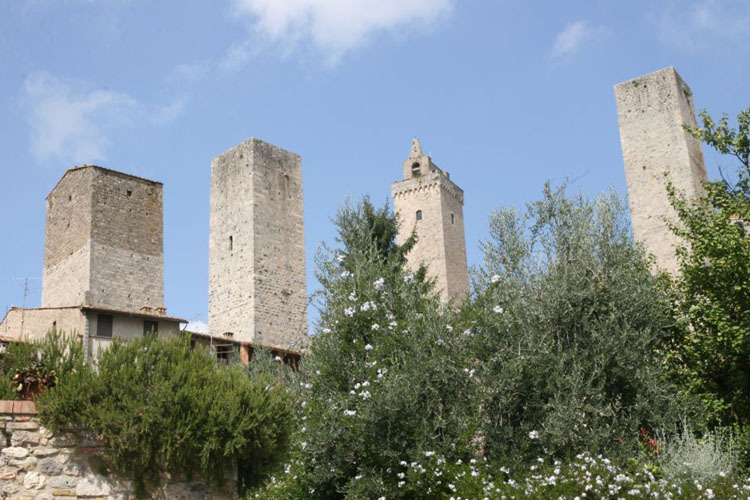 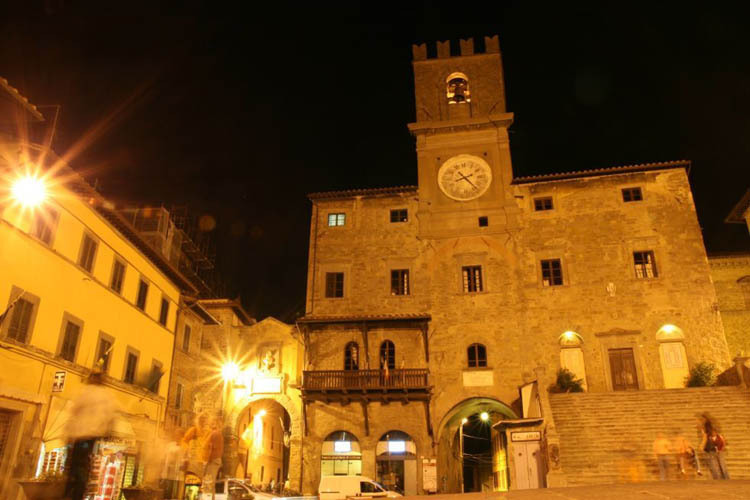 The medieval character is also very important in Tuscany, like in Volterra, San Gimignano, Pisa and its famous leaning tower, Lucca, and especially Siena. 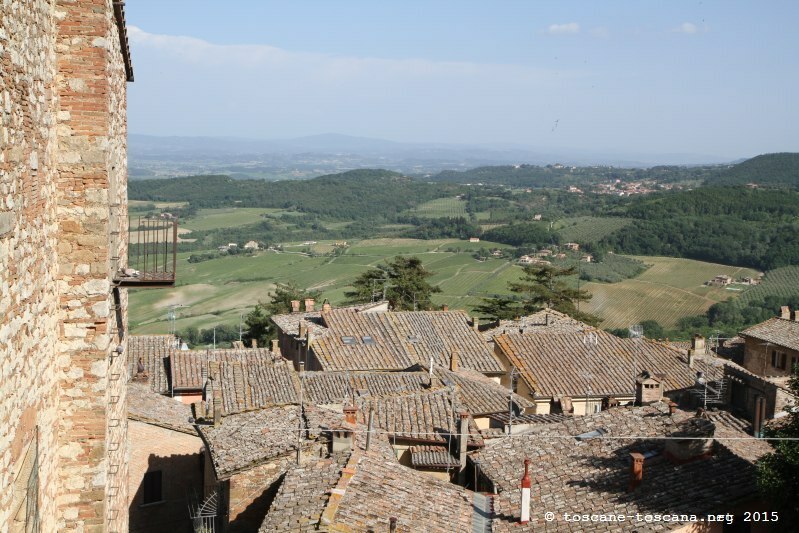 In the Middle Ages, its communes took their rise.